The BBC Children in Need appeal is back!. 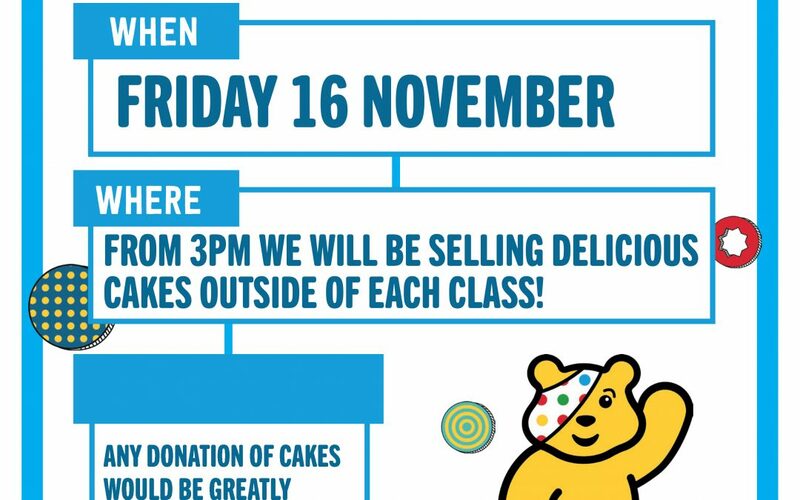 We will be selling delicious cakes outside each classroom on Friday 16 November to join in the celebrations. Ant donation of cakes would be greatly appreciated.